UC Davis has multiple libraries ranked among the top 100 academic research libraries in North America. For this year’s Best of Davis, however, Shields Library won the top spot for best place to study on campus. There are over 10 million items in its collection available for UC Davis students, staff and faculty. 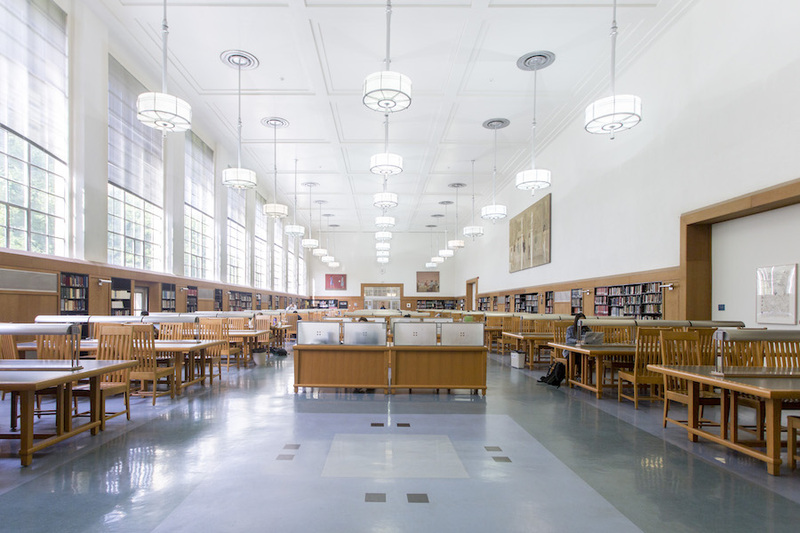 Even with the vast number of resources, if there are still materials students or faculty need, Shields offers an interlibrary loan system with other UC campus libraries as well as remote resources through a VPN using their UCD LoginID. “I think Shields is the best study spot because it’s a very convenient location on campus. It’s right next to a lot of classrooms, as well as places like the CoHo and MU,” said Serena Uppal, a third-year economics and math double major. Shields Library offers a 24-hour room with wireless access, private study rooms and a printing room. The main reading room on the second floor includes a high ceiling with many paintings, ample lighting and an abundance of outlets. If graduate and Ph.D. students would like, they may wait-list for the carrels — cages with desks, chairs, light and ethernet cables — which line the second floor for a more personal study space. “I personally like the main reading room because of the amount of space and sunlight that it has,” Uppal said. Shields offers various tools and study aids for check-out, including individual charging lockers and battery packs, whiteboards and markers, headphones, power squids and subject-specific equipment such as atomic structure kits. It also has a computer room that provides computers for printing, scanning and reference. Shields Library is open Monday to Thursday from 7:30 a.m. to 12 a.m., Friday from 7:30 a.m. to 6 p.m., Saturday from noon to 6 p.m. and Sunday from noon to midnight.